Computed tomography is the most widely utilized cross-sectional imaging modality for staging patients with bronchogenic carcinoma. With regard to the assessment of lymph nodes, CT relies on anatomic features, most notably lymph node size, in order to distinguish between benign and malignant lymph nodes. Although very early investigations with CT suggested sensitivities and specificities comparable to mediastinoscopy, subsequent studies performed with more thorough nodal sampling have shown that the accuracy of CT is significantly lower. For example, in a study that employed extensive nodal sampling and correlation with CT imaging of nodal stations, McLoud et al. reported a sensitivity of 62% and a specificity of 64% for CT, using 1 cm as the upper limits of normal size for short axis of lymph nodes. These results emphasize the limitations of using nodal size to determine nodal status: Enlarged nodes may be hyperplastic rather than neoplastic (Fig. 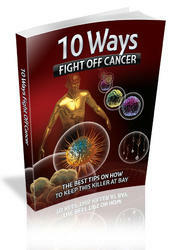 1), and small nodes may harbor foci of metastatic disease . Because of the low specificity of CT, enlarged nodes must be biopsied for accurate staging [2,3]. Indeed, benign nodes as large as 4 cm in diameter have been described in association with bronchogenic carcinoma . Such nodes are most often seen in the setting of postobstructive pneumo-nitis. 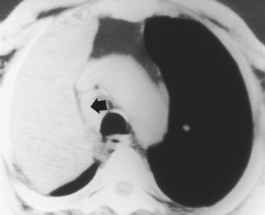 Figure 1 Enlarged, hyperplastic mediastinal node in a patient with an obstructing bronchogenic carcinoma in the right upper lobe. 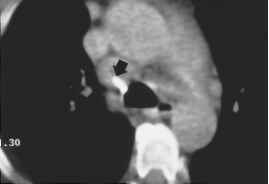 Contrast-enhanced CT at the level of the aortic arch reveals a 2.5-cm short-axis-diameter right paratracheal node, which was shown to be hyperplastic at mediastinoscopy. (From Ref. 3). aAJCC, American Joint Committee on Cancer; UICC, Union Internationale Contre le Cancer. Numbers in parentheses correspond to AJCC-UICC node classifications aorticopulmonary window lymph nodes are not accessible by cervical mediastinoscopy and thus require another method of biopsy such as anterior or parasternal mediastinotomy or thoracoscopy. copy can be used to guide transbronchial needle aspiration (TBNA) procedures (Figure 2). Such guidance has been shown to improve the accuracy and reduce the time of this procedure [6,7]. In certain cases, CT-guided percutaneous biopsy of lymph nodes may also play a role in nodal staging . An emerging role of CT involves the provision of complementary anatomic information for correlation with physiologic FDG PET studies. Combined anatomic and physiologic imaging is described below. Similar to its limitations for evaluating mediastinal lymph nodes, CT has also been shown to have a low sensitivity and specificity for assessing hilar lymph node metastases [4,11]. The evaluation of hilar lymph nodes has become an important factor in the selection of patients with early lung cancer (T1, N0, M0) and poor pulmonary reserve for minimal resection procedures such as segmentectomy and wedge resection . It has recently been suggested that hilar nodal contour may be a more accurate predictor of metastatic involvement than nodal size. 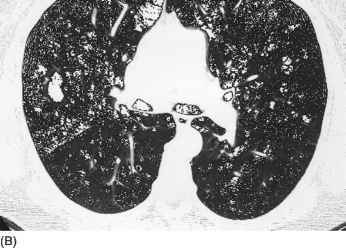 In a study that assessed the ability of CT to detect hilar nodal metastases, Shimoyama et al. classified lymph nodes with straight or concave margins to the lung as benign and those with convex margins as malignant. Using this criterion, these investigators reported a relatively high sensitivity (87%) and specificity (88%) for detecting hilar nodal metastases. Future studies involving larger numbers of patients are necessary to confirm these promising results.